A cryogenic facility beyond the edges of civilization provokes a series of meditations on death and life in this new novel by Don DeLillo. I was uncertain as I read these early pages. Had DeLillo created a world of pure abstraction where the reader would be left to float in the ­zero-gravity chamber of the death fable, everything to think about and nothing to latch on to? But this is only one of several canny feints in the book, which continually shape-shifts and reimagines itself. In the end, it all adds up to one of the most mysterious, emotionally moving and formally rewarding books of DeLillo’s long career. Zero K deserves to win old and new readers alike. It’s a marvelous blend of DeLillo’s enormous gifts. His bleak humor and edged insight, the alertness and vitality of his prose, the vast, poetic extrapolations are all evident. So is the visceral quickness and wit in the sentences...Zero K is filled with wonderful side characters, scientists and philosophers and linguists from across the world, many armed with forceful, funny riffs. This is one of the constant pleasures of a DeLillo novel, the talk, the shop talk, the comic talk, the cosmic talk, the way the characters feel language, its sonics, the moral and emotional pressures. Draped over this scant armature of plot are swathes of vintage DeLillo—vintage in the sense that he was doing all this stuff 30 years ago. The motifs are the same: cultic organizations, sinister media, big money, hermit artists, guerrillas, teen prodigies and holy children, strange projects in nameless locations, high-tech vehicles, systems jargon, physical sciences, sports metaphors. 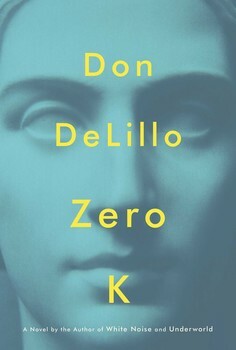 Likewise the style; I’ve always felt that DeLillo’s dialogue makes more sense if you pretend the characters are conversing over a bad phone line, talking past each other in non sequiturs and repeating themselves...If you’re a longtime DeLillo fan, you could call Zero K a grand summation of his career themes and prose stylings. You could also call it recycling. What did you think of Zero K?